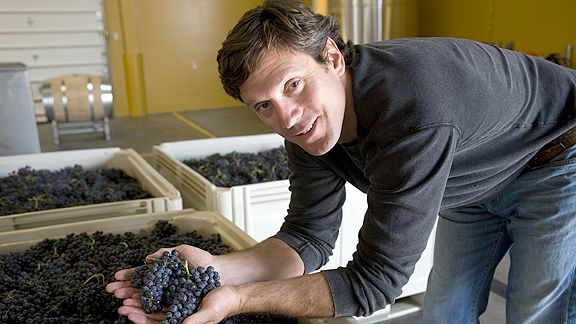 Doubleback Drew Bledsoe is actively involved in his winery and has invested "significantly into the seven figures." The former NFL quarterback, who spent 14 seasons on the New England Patriots, Buffalo Bills and Dallas Cowboys, embarked on his new career while he was still in his old one. Instead of directing an offense, he's calling the shots for his Doubleback wine label in his hometown of Walla Walla, located in southeast Washington. Bledsoe, 39, snapped up his first piece of property by purchasing 80 acres of land just outside Walla Walla Valley in 2003 while he was in the middle of his three-year tenure with the Bills. (He played for the Patriots from 1993 to 2001 and for the Cowboys from 2005 to '06.) His interest in wine had been burgeoning since the beginning of his NFL career. Yet it wasn't until he recognized when he would likely retire that he began seriously considering opening a vineyard. It seemed like a natural fit for Bledsoe's competitiveness and work ethic. "When you look at facing retirement in your mid-30s, and all of a sudden the outlet for that passion and work ethic goes away, you can't just sit back in a rocking chair and be retired at 35," Bledsoe said. "I'm not a good enough golfer to play golf every day." An English major at Washington State University, Bledsoe didn't obtain a conventional education in wine making or agronomy. Growing up in Walla Walla, a town of little more than 30,000, he was surrounded by the kind of farmland that's ripe for growing grapes. Ironically enough, it was the parents of Bledsoe's childhood friend and neighbor, Chris Figgins, who established Walla Walla's first modern vineyard -- Leonetti Cellar. Figgins joined Leonetti in 1996 and, unknowingly at the time, eventually would play a significant role in Bledsoe's wine making career.